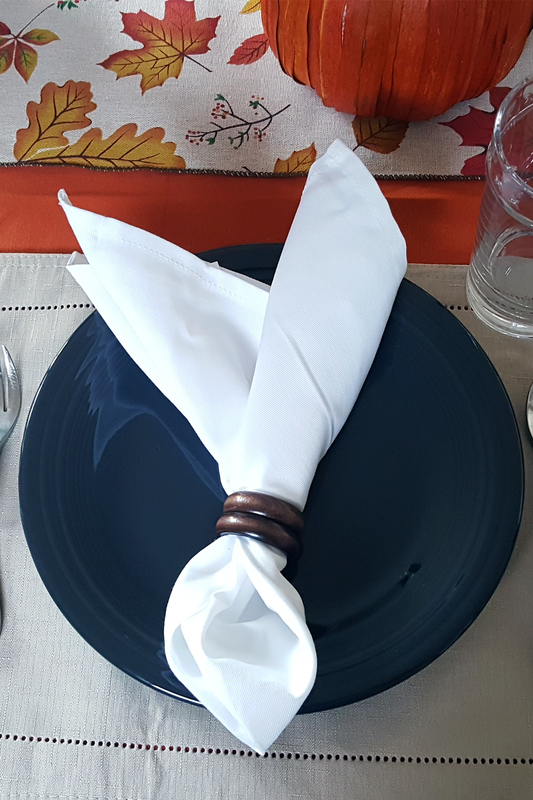 Roll and wrap napkins using these natural wood holders, and improve the appearance of any place setting. 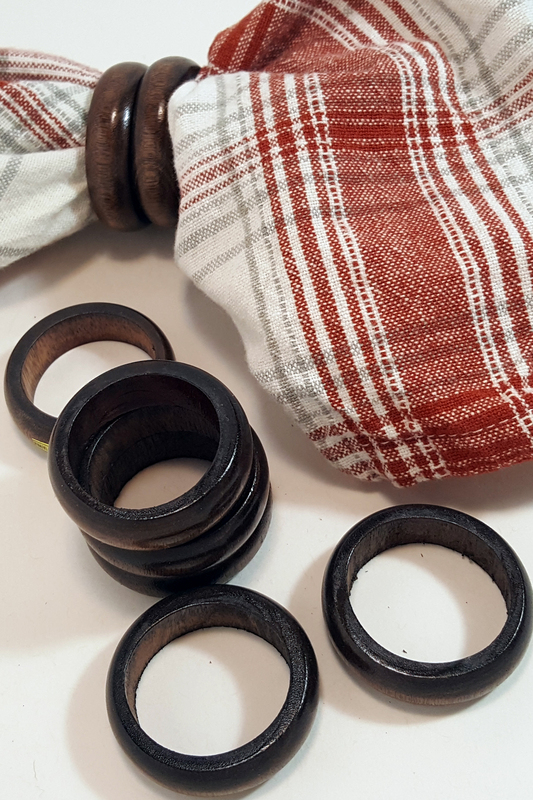 The dark wood construction allows them to combine well with rustic or fancy decor, so use with any dishes and napkins you already have to upgrade your dining room table. 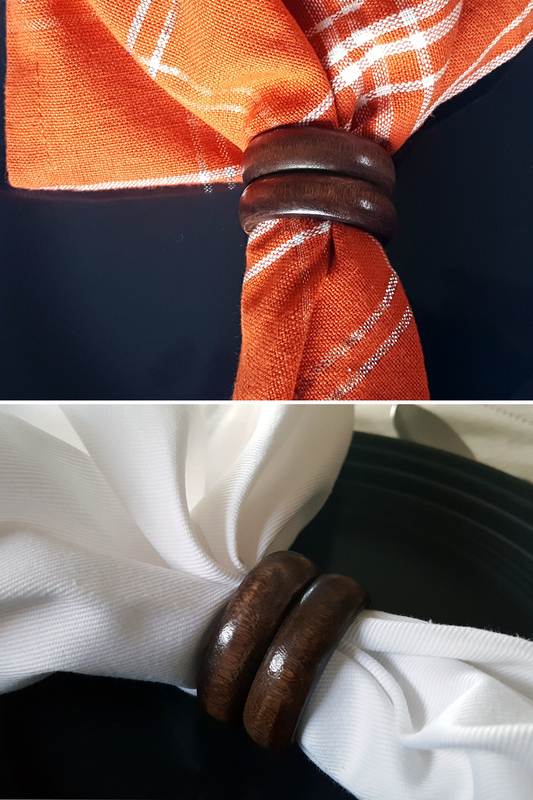 The natural material adapts easily to any style, and thanks to the thin sizing, you can use a single ring on each napkin, or combine two or more for a different look. 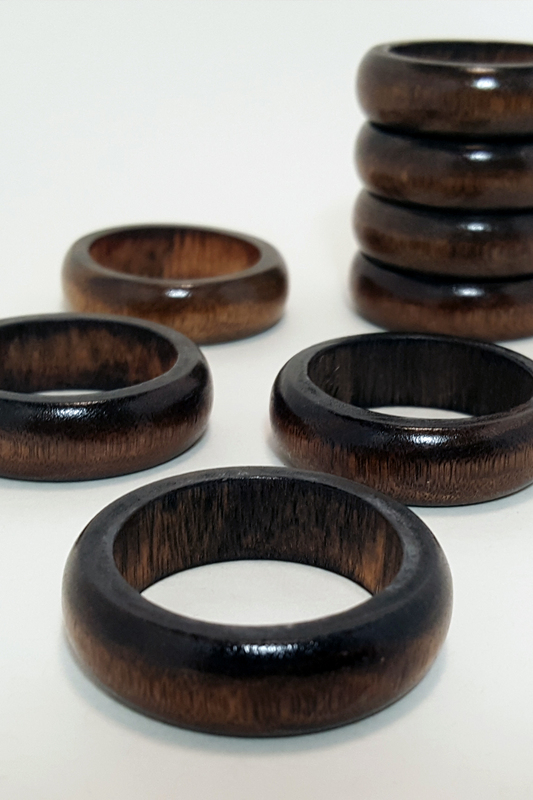 They are made in Taiwan from 100% natural bamboo wood, and then finished with a dark stain to give them a simple yet stylish finish. The deep color has a solid feel from afar, but looking closely, you can see slight variations and depth of color that create a hand-crafted look. To use simply roll napkins neatly nd then slip inside the holders. 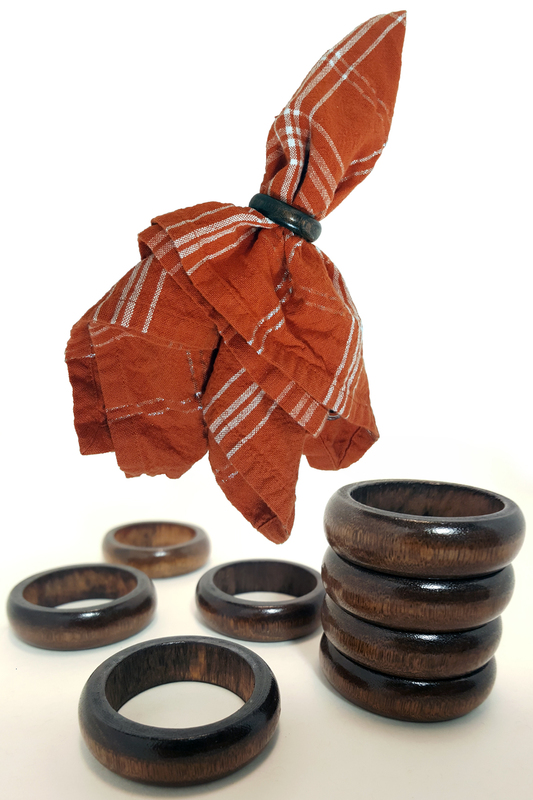 The dark color and wood material allows for use with a wide range of napkin colors. 4 piece napkin ring set. Order several sets and get reduced pricing. Thin width. Use one per napkin, or combine several. Dimensions (l x w x h) 1.75" x 1.75" x .5"